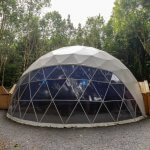 Are you looking for somewhere really different for your next event? 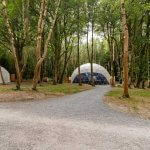 At Castlecomer Discovery Park we have a unique event venue nestled in the heartland of our 80 acres of woodlands and lakes. 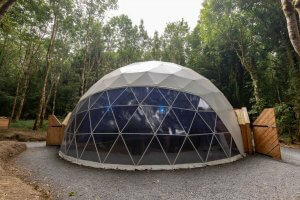 We have three event domes, the largest of which is 13 meters wide by 8 meters high and can accommodate 150 people seated. 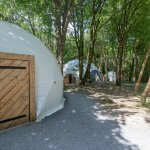 The other two smaller domes can accommodate about approx 20 depending on set up. These are perfect for BBQ’s, weddings, Corporate launches or parties. We have catering available on site and another covered area with seating for food and bar. We have a wine and beer license and have experience of delivering high quality events.